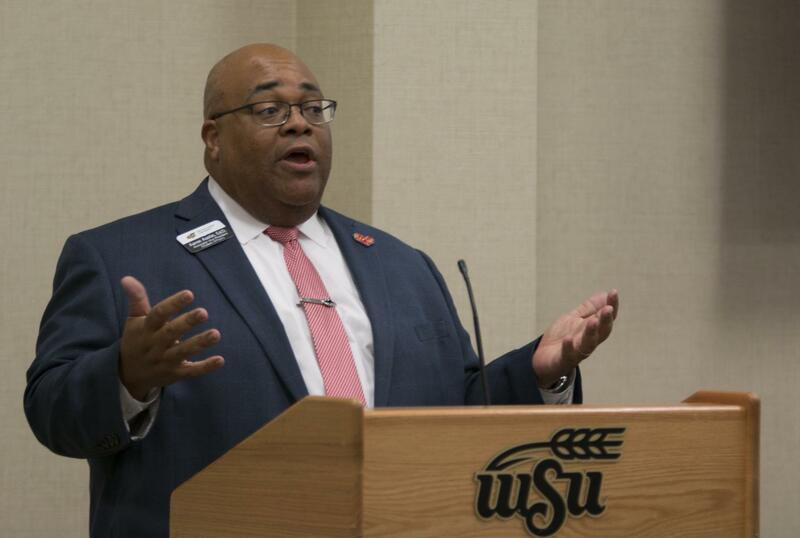 Associate Vice President for Student Affairs, Aaron Austin, speaks during the public forum portion of SGA. 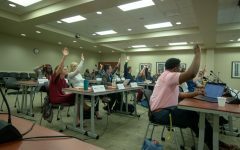 A discussed amendment regarding the addition of senators representing specific student organizations of protected classes was withdrawn from consideration during the Student Government Association meeting on Oct. 25. 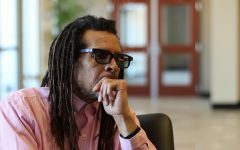 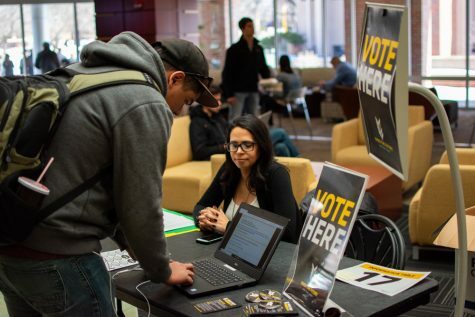 The intent behind the proposal was to allow student organizations for protected classes, such as the Black Student Union and the Asian Student Conference, to have a representative voice in the SGA. 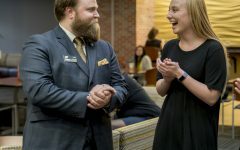 Aaron Austin, associate Vice President for Student Life, spoke to the policy conflicts between the proposal and the Wichita State University Legislative Journal that ultimately led to the withdrawal. 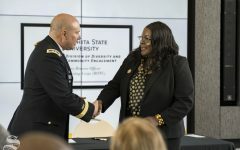 “[Wichita State University] does not discriminate in its employment practices, educational programs, or activities on the basis of race, religion, color, national origin, gender, gender identity, gender expression, age, sexual orientation, marital status, political affiliation, status as a veteran, or disability,” quoted Austin fromt he WSU Legislative Journal. 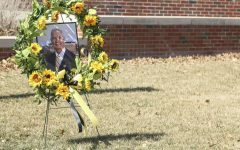 The notion of electing senators that specifically belong to certain protected classes is a direct violation of such policy. 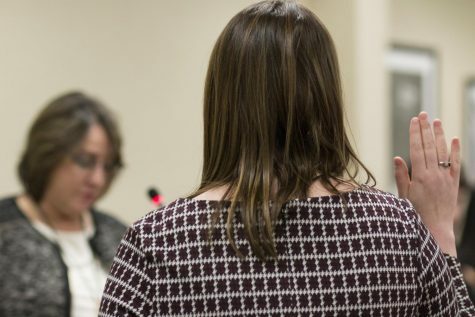 Austin welcomed SGA’s Supreme Court to review the previous legislation, but as a result of what he believes is a violation of the Legislative Journal, the proposal was withdrawn. 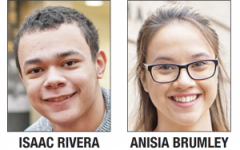 Austin also expressed his support of the intention behind the proposal. 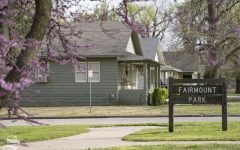 To further express this support, he presented a list of his own ideas with the hopes of sparking further discussion related to the contents of the proposal. 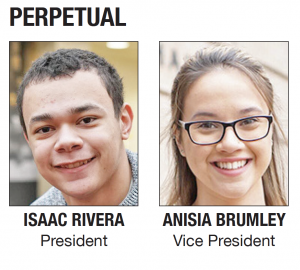 “One … the addition of a senate position for a member of the multicultural student council following all current election protocols,” Austin suggested. 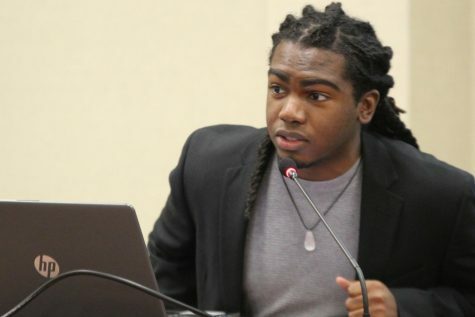 Thirdly, he rationalized a new executive position entitled “Director of Diversity Affairs” which could serve as the chair of the Multicultural Student Council and consult that group when making decisions. 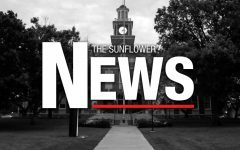 Sophomore Senator Kenon Brinkley pointed to inconsistencies with the application of the non-discriminatory policy. 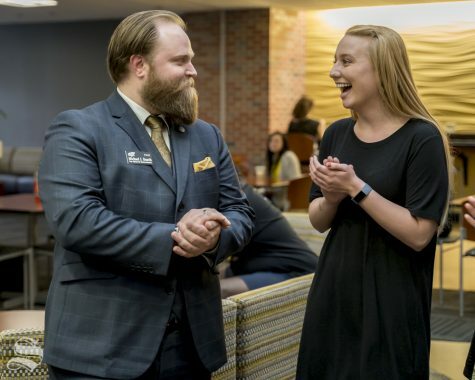 Sophomore Senator Michael Bearth is the current Veteran’s Senator.